If you are considering selling your business, we just completed four videos in a three part series addressing exit strategies. In part one, we explore the important considerations sellers must understand before exiting their business. In part two, our experts presented ways in which businesses are valued. In part three, which included two videos, we presented the 10-step business sales process, steps 1-5 and 6-10. With this video, we're beginning a new series about how to buy a business. Today we're embarking on a new series about how to buy a business. Buying a business is one of the most important steps in life taken by entrepreneurs. It can be a rewarding experience or it can be a minefield fraught with danger. 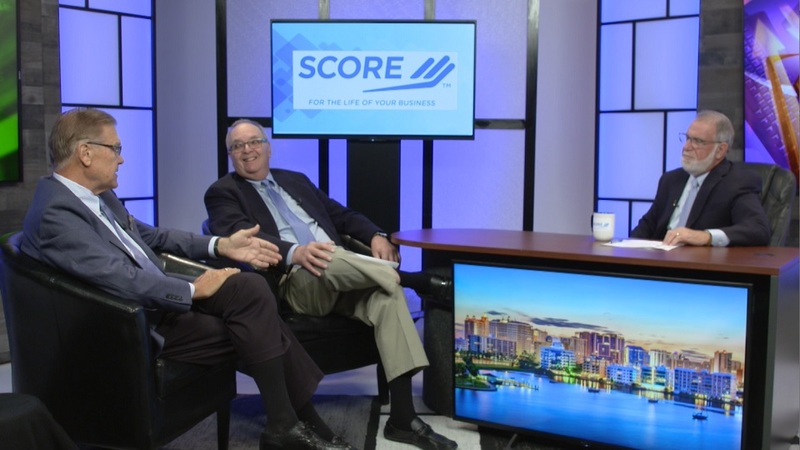 SCORE is a 55-year-old nationwide non-profit organization providing free mentoring services to business owners. Our SCORE experts are here to guide you safely through that minefield. Is it easier to start or buy a business? What do you get if you buy an existing business? When is it better to start your own business? What happens when it’s a personal service company and you know all the clients? What type of businesses does SCORE help an entrepreneur buy? What is the most important thing that SCORE provides? How important is it to have industry experience? What are three areas that a buyer should be concerned about? What is a UCC and why you need to do a search? Who should draft the Letter of Intent or LOI? What should be included in the Letter of Intent? What are the benefits of buying assets and buying stock? What percentage of businesses are asset purchases? How to negotiate the deal, including cash, terms, notes and loans. How offering cash can reduce the purchase price. What are the advantages of having an earnout? Why an escrow agreement is a must. What is a typical time for the seller to ‘stay on’ with the buyer? Why you should have employment and consulting agreements. Why a covenant not to compete is essential. “We receive a lot of requests from clients of SCORE saying, "I want to start a business," but really, buying a business is much easier than starting one. If you start a business you have to put all the parts together and you don't have the cash flow that an existing business would have. So, the customer base, the cash flow, and the fact that you have all of this assembled, is really better for you if you buy an existing business,” said Peter Gruits. “When you buy a business, the most important element you could buy is the customers. It's the cash flow the customers produce. It's the prospects and the people who look to that business for a particular service or product. When you buy a business you want to buy that cash flow. It's very different than buying something for appreciation. If you were buying a stock you would buy it for appreciation perhaps, or a dividend. In buying a business you really want to buy it for the cash flow, because that's going to give you the money necessary to support that business,” Gruits added. What is Goodwill and How to Value a Business? “Goodwill is the ability to pass on customers, clients, suppliers, things like that. For example, I represented an accounting firm, and the senior partner was retiring and he arranged to sell personal goodwill to the firm. His goodwill was his thousands of clients, all tax returns, all the records that he had for everybody, and they were able to pay for that. He was able to take goodwill as a capital gain, and the buyer was able to write-it-off over a period of time, not as an immediate asset but as a long-term asset. Goodwill really gives you the ability to continue a business and grow it,” said Michael Zuckerman​. “Typically, I am a great believer in the team approach. I get the attorney, the CPA, the mentor from SCORE, anybody else if there's a business broker involved, and we talk about what this business is really worth? How much can I afford to pay for it? And how can I pay for it? And what am I buying? Am I going to buy all the inventory if some of it is ten-years-old and been sitting on the shelf? Why should I buy that? Why should I do this? Why should I pay for that? Once you get your plan, the buyer's attorney calls the seller's attorney and says, "We're thinking of this, this and that, and here's what we have in mind. Where do we stand? Are we in the ballpark or not in the ballpark?" Then he or she comes back and says, "Well, we wanted this much. We wanted this," and you negotiate that, and at that point you come up with a plan, and then I always encourage the buyer's attorney to draw a letter of intent,” added Zuckerman. To get help with planning your exit strategy, request a free SCORE mentor by completing this form today!